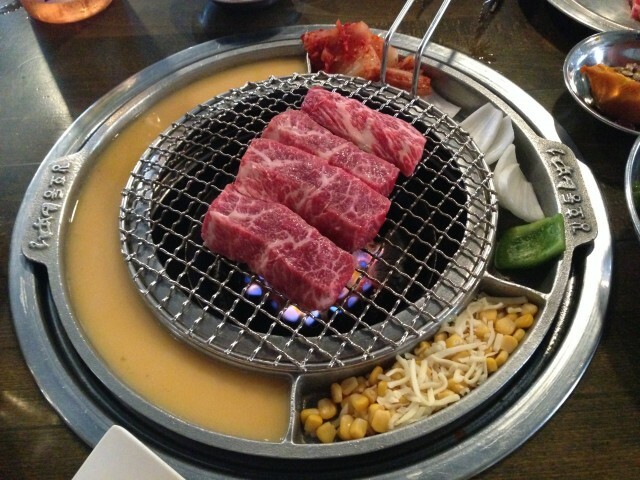 The acronyms AYCE and KBBQ go hand in hand, almost to the point of interchangeability. (Side note: the word “interchangeability” is the longest word used on this blog, I think.). I’m a carnivore to my core, and having all that my heart and stomach desires is welcome. For this reason alone is I think the reason why it took me so long to eat at Kang Ho Dong Beakjeong. For years, I’ve heard people tout that this is the best meat ever and I’ve seen crowds waiting to get a seat. Why are these people waiting for KBBQ with a limit? This must be good. We ordered the beef cut called Flower meat. This is their signature cut and what everyone comes here for. The meat came in strips, and the marbling on the beef was incredible. It was a very fatty piece of beef. I am not quite sure on the cut of the beef — Judging the look, taste and texture, I’d guess it’s either a flank or rib. Am I way off? Regardless, the beef was pristine, and despite the large price tag, we wanted more. We ordered the lesser priced, but equally popular, pork jowl. I liked the pork jowl (hang jung sal), but was more partial to the beef. Over cooking can cause the meat to be very rubbery. The taste was clean and the fat content was definitely there. Just the cooking process caused the texture to be quite off putting. In fact, this was the most rubbery piece of meat I’ve had in quite some time. Get the beef — flower beef. 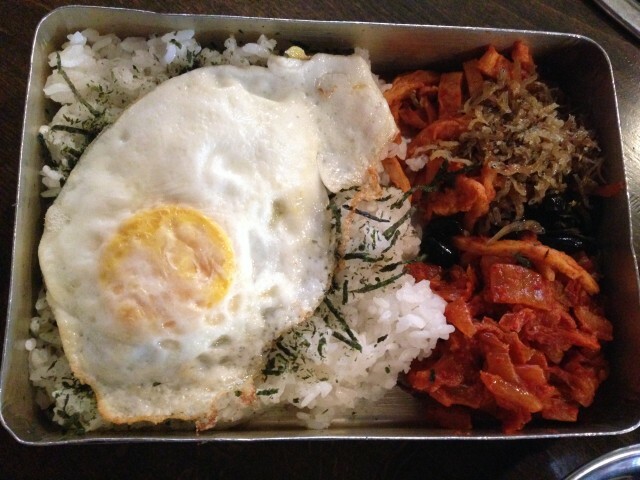 To go with our meats, we also ordered the “lunch box” (doshirak). This was a bibimbap kind of dish. It reminded me of what I’d eat at home when there was nothing to eat. Just rice and a bunch of stuff from the fridge, add an egg on top to “keep it real” and I was good to go. Theirs was done nicely, with a mix of marinated seafood side dishes. It had lots of dried seafood actually and intensified the flavors a lot. I guess I should mention Kang Ho Dong was a Korean comedian and MC. I don’t really follow Korean pop culture so I don’t really know much else about him. I guess having a famous person owning a restaurant is helpful. 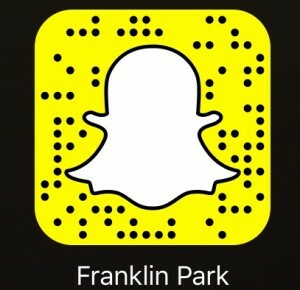 People flock to this place. Luckily, I went on a Monday and fit before the dinner rush. As the sun sets, expect a wait on any given night. A wait is expected for reasons not so mysterious. 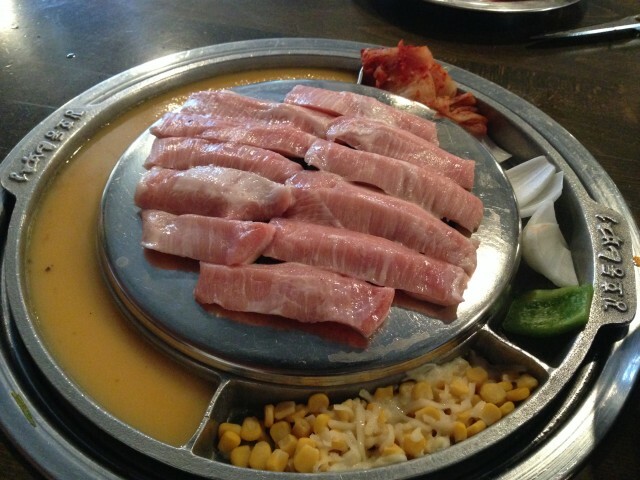 Even though the meat isn’t endless, the quality and atmosphere is why people come. Everyone loudly greets you when you enter, and everyone bids you farewell. The experience was great and the beef was exceptional. What more can I want? 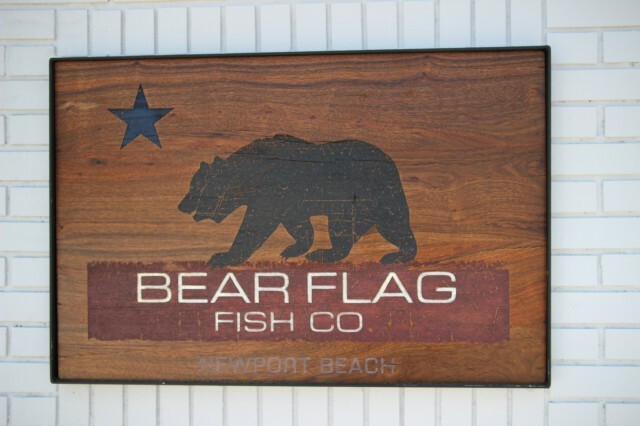 It was sad to see Bear Flag Fish Company move locations. The original had a nice quality to it — it was small, hole in the wall like, and the food was perfectly simple. Now in their bigger and better location, the food is consistently delicious and the decor is spot on. It’s bigger, brighter and just nicer. I really come here for one thing, and that is their poke. Their ahi and salmon poke is as good as it gets as the OC goes. 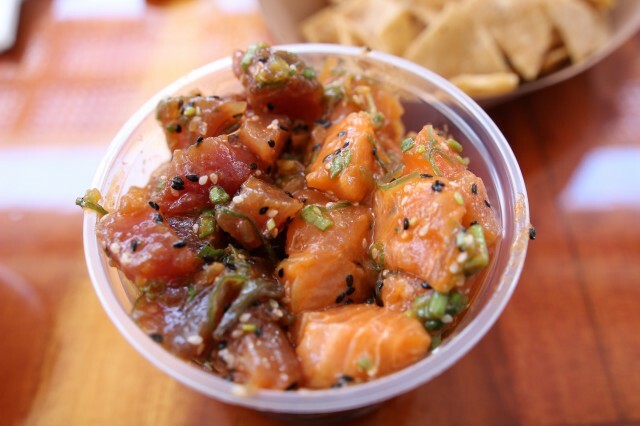 I’ve had poke in Hawaii — let’s not compare the two. 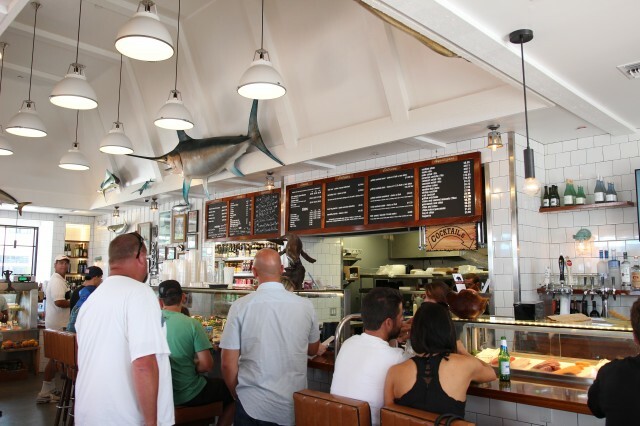 Bear Flag does a great job nonetheless — the fish is fresh and the flavors are just right. I like that they give a huge portion of tortilla chips. The tortilla chips alone are delicious. Extra crispy, to the point where your teeth start hurting, but so good. Eating it with the poke, it is a match made perfectly. The new spot is nicely decked out and the ambiance is just fresh. Sadly, I havent tried anything else on their menu — its just so hard to order anything else. I love raw fish and their poke is a must order. I rather just fill myself up with more poke than try something else.